People have been whitening fabrics for centuries. The ancient Egyptians, Greeks, and Romans bleached materials and, as early as 300 B.C. , soda ash was prepared from burned seaweed and used to clean and whiten cloth. Today, bleach is found in nearly every household. People have been putting it in their laundry, using it to disinfect, and cleaning all sorts of surfaces. Although bleach is used to clean and sanitize after natural disasters, including the purification of drinking water, it can be a dangerous product when used in the home. Sodium Hypochlorite is the active ingredient in household bleach. It is an ingredient found also in many toilet, tub, shower, bathroom, kitchen and all purpose cleaners. Bleach is cheap to manufacture and is effective in both warm and hot wash temperatures. However, it has strong chemical properties which can weaken textile fibers. Health issues – Bleach is a strong corrosive and can cause respiratory problems, burned skin, eye irritations, and damage to the nervous system due to fumes and chemical reactions. In many cases, the use of bleach and cleaners with chlorine irritate conditions that people have, such as allergies and asthma. Potential chemical reactions – With bleach, there are different reactions that can cause a lot of dangerous situations. Mixing with Organic Matter Creating Chloroform – This is a toxin and a known carcinogen. It happens in the home while cleaning the kitchen, the toilet, washing the laundry, and cleaning up food, blood, or other organic messes. It occurs when sodium hypochlorite is mixed with common household cleaners containing acetone (solvent), butanone (cleaning agent), ethanol (sanitizer), or isopropyl alcohol. Toxins – Chemical reactions that occur produce toxic elements. Most of these are known carcinogens, they build up in the body as it is exposed to them, and they get into the food chain through the water. Stay-at-home women have a 54% higher chance of getting cancer than women who work outside the home. It is believed that this is because they are exposed more to chemicals released by household cleaners! Accidents – More than 240,000 children are reported taken to Emergency Rooms each year due to poisoning from household chemicals…and more than 35 children die each year from accidental poisonings in the home. The risk is greatest for children up to 5 years of age. Pets – They are affected by the fumes or ingestion of bleach and chlorine based cleaners too! Environment – Toxins produced as a result of bleach use also create severe impacts when released into rivers and ponds, harming fish and other marine life. Precautions should be taken to keep bleach out of storm water drains, as many of these systems do not get treated by waste water plants before being released into streams and rivers. 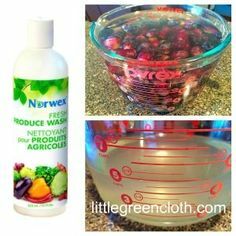 Norwex carries a full line of chemical free laundry products, including Norwex Laundry Pre Wash, which penetrates, dissolves and eliminates a variety of stains and soil in fabrics. No need for bleach!! In addition, Norwex has eco-friendly green cleaners for every room in your home, including your floors, and even your car!! Norwex Enviro Products clean effectively, save time and money, and come with a 100% Satisfaction Guarantee! Please feel free to contact me if you have any questions or want more information about these wonderful products or suggestions on how to use them!